This week on Curmudgeon’s Corner, Sam and Ivan’s main topic is of course the Kavanaugh hearings. They cover the new allegations and other developments that came up before the hearings, Dr. Ford’s testimony, Judge Kavanaugh’s testimony, and Senator Flake blowing everything up to end the week. 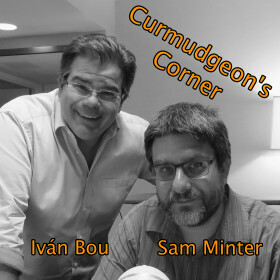 Before all that though, they talk about Sam’s phone usage, Sam reviews a couple movies, and Ivan read a book! What else happens in a week? Flake saving the Republicans from themselves? Do they have the votes?